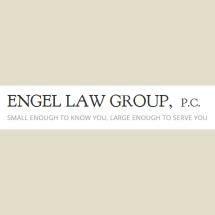 At the law firm of Engel Law Group P.C., litigation is what we do. We take cases to trial, and because of our reputation as aggressive trial lawyers, we are often able to obtain settlements in our clients' favor. To request a free consultation with one of our skilled attorneys, contact us online or call us toll free at 800-566-6565. Flexible appointments: We offer evening and weekend appointments by request. Our normal business hours are 8:30 a.m. to 5 p.m. Monday through Friday. Free consultations: We offer a free initial consultation to every potential client. Credit card payment options: We accept several major credit cards. Off-site visits: We are willing to travel to meet with clients and potential clients in the hospital, in jail, at home or other convenient locations. Multiple locations: We have multiple locations throughout the country. We do litigation work for more than a dozen law firms throughout the United States. Whether you are a sole practitioner or a firm specializing in transactional work only, our law firm can take on even your most challenging cases.